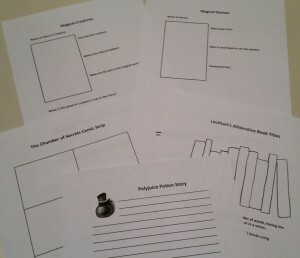 I am so excited to finally present the Harry Potter And The Chamber Of Secrets unit study! Welcome back to the exciting world of wizards, mythical creatures, magic and danger! Harry’s second year at Hogwarts gets off to a rough start and it only gets worse when students are being mysteriously petrified. 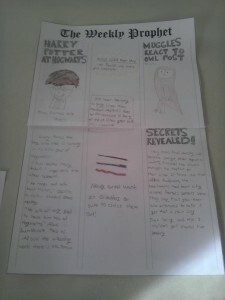 You’ll explore Harry’s world with a variety of activities, many that are continuations from the Harry Potter and the Sorcerer’s Stone Unit Study. You’ll continue your Magical Terms and Spells Glossary, Magical Devices Guide and Weekly Prophet, but you’ll also be adding in a Magical Creatures field guide, as well as several activities tied directly to the story. As always, there are copywork/dictation passages taken from the novel, as well as vocabulary and discussion questions. You’ll also be studying another Hogwart’s course – this time it’s Astronomy. You’ll begin to familiarize yourself with the night sky and the constellations that decorate it, while learning about the mythology behind many of them. 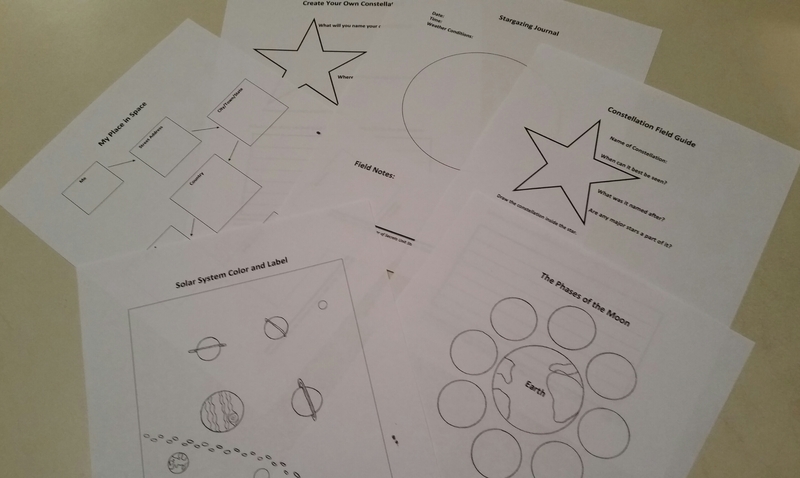 You’ll read from the Night Sky Atlas and Stories of the Zodiac (Dot to Dot in the Sky) , and complete several fun and educational projects – from keeping a Stargazing Journal to making a Constellation guide book. 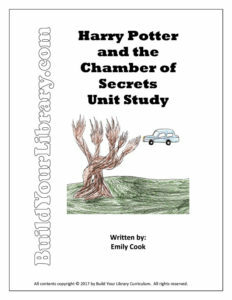 The Harry Potter and the Chamber of Secrets unit study will take approximately 3 weeks to complete and is appropriate for upper-elementary and up. The PDF file is 49 pages and includes a full schedule, project ideas and 16 activity pages. We are so excited that you created this curriculum! We loved the curriculum for the first book and my son has been so anxious for this one. We hope book 3 is in the works, we want them all!! Thanks so much, I’m thrilled to hear that your son is enjoying the Harry Potter units! 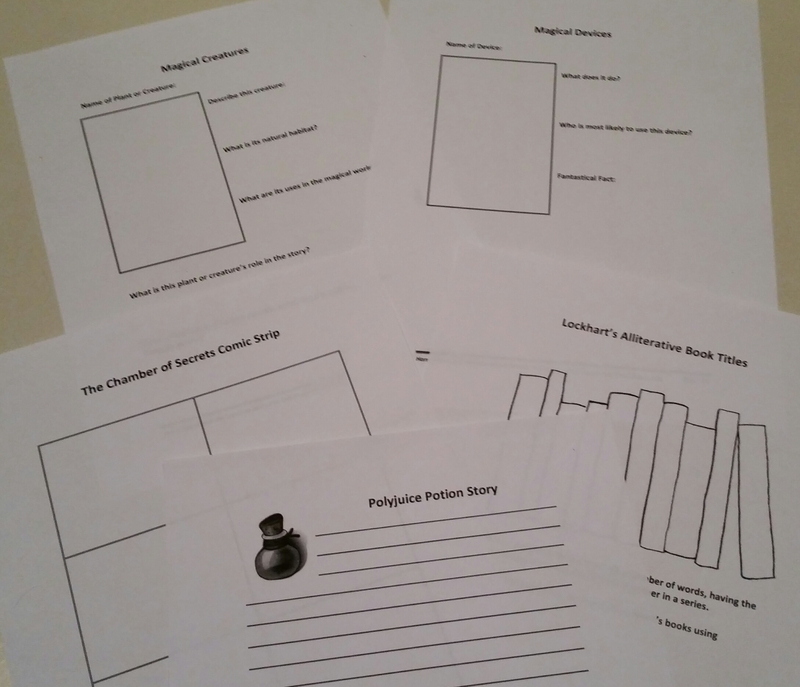 I’m aiming to have the Prisoner of Azkaban unit study ready to purchase in September.